Houston — Houston has experienced a major construction boom in recent years. With the recent devastation of Hurricane Harvey, a large number of steel sheet pile projects have been included in this construction for added flood control. Many of the city’s waterways are being revamped in the hopes it will help prevent another catastrophic flooding event like Harvey. Corrosion protection for sheet piles is paramount to their long-term service life as they are extremely difficult to repair once corrosion has begun. For decades, the most popular method to protect sheet piles has been coal tar epoxy coatings due to the low cost and excellent water resistance. However, many problems arise during the application of these standard coal tar epoxies such as delamination between multiple coats, poor adhesion, and long cure times. These issues can cripple the applicator’s production rates and lead to premature coating failures once the sheet piles are in service. 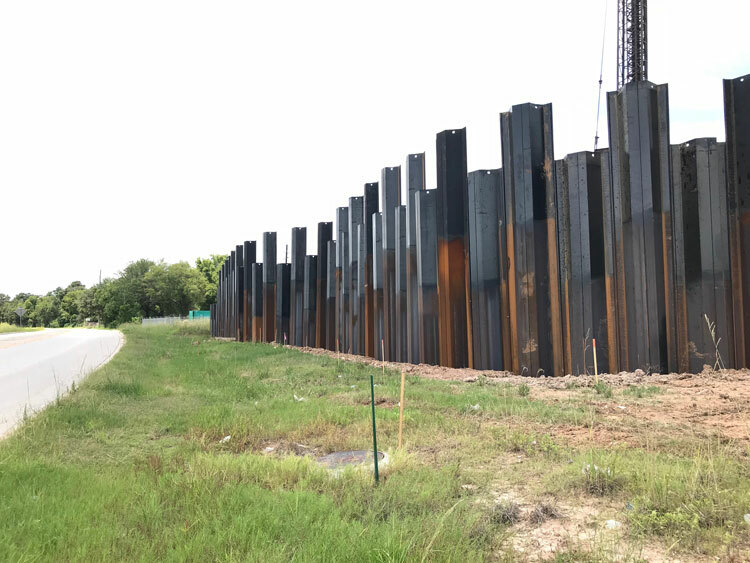 The Protal 600 CTE (Coal Tar Epoxy) was chosen for this sheet pile project in Harris County, Texas, due to its high build one coat application, excellent adhesion, abrasion resistance and fast cure time. The coating was spray applied using a Graco 70:1 Single Leg Airless Pump by an extremely experienced and qualified spray applicator. The applicator, CPS Houston, was impressed with the efficient one-coat application and fast cure time, which dramatically increased their production rates. The owner was very pleased with the quick delivery, success of installation, and quality of the coating. The owner and applicator have made the Protal 600 CTE their coating of choice for sheet pile protection. Denso also manufactures an alternative Protal 650 CTR which is a replacement to coal tar epoxies.